Join Phi Theta Kappa! Be rewarded for your academic achievement with exclusive scholarships, professional development and benefits. 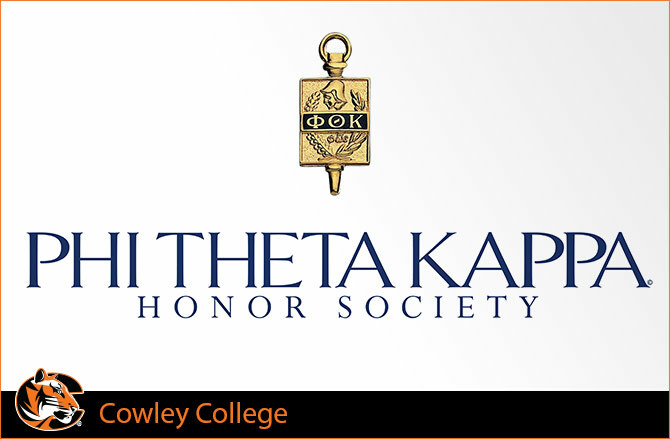 Founded in 1918, Phi Theta Kappa is the official community college honor society as acknowledged by the American Association of Community Colleges with over 90 years of dedication to recognizing academic excellence. Phi Theta Kappa rewards high-achieving students and provides scholarships for continued studies as well as opportunities to travel and to develop such critical leadership skills as problem solving, project planning, team building, effective communication and conflict resolution. There are over 1285 chapters worldwide, and 91% of Phi Theta Kappa Members complete their associate degree and/or transfer to a four-year college or university. RECOGNITION: The membership certificate and key lapel pin tell the world you belong to our elite group of scholars. Additionally, letters of recommendation, a transcript notification and the opportunity to wear Phi Theta Kappa regalia at graduation will further identify you as a scholar. SCHOLARSHIPS: Members have access to nearly $90 million in scholarship opportunities from Phi Theta Kappa, partnering senior colleges and universities, and foundations. OTHER BENEFITS: Members have automatic inclusion in CollegeFish.org, a comprehensive college completion and transfer planning program. Members can enhance “soft skills” via the Five Star Competitive Edge, which is a self-paced professional development plan for skills valued by employers that include communication, teamwork, professional etiquette and critical thinking.